SOUNDVIEW, Bronx (WABC) -- Police are searching for a suspect after a woman in the Bronx woke up to find a man with a firearm on her fire escape. 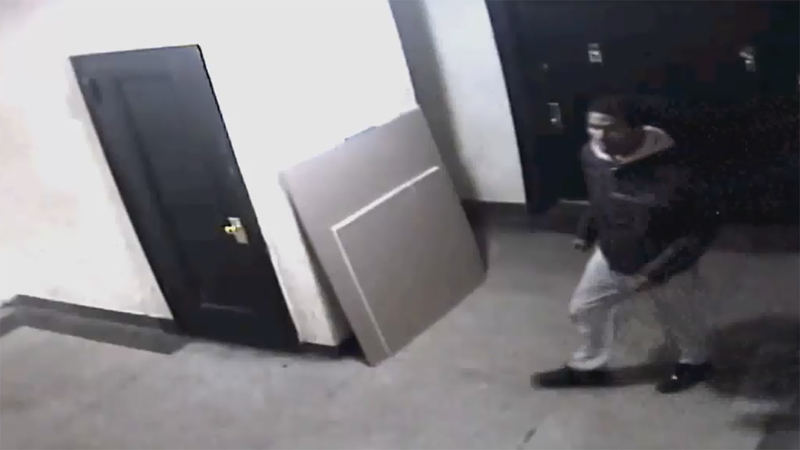 The NYPD says the incident happened March 6 on Noble Avenue in the Soundview section. The 57-year-old woman said she woke up from her sleep and saw the man on the fire escape. He then broke the window and entered the victim's apartment. She screamed for help and the suspect fled out of the front door of the apartment in an unknown direction. Nothing was taken and the woman was not hurt. Police describe the suspect as a male, Hispanic, 25 to 30 years of age, approximately 6'0" in height, medium build; last seen wearing a black coat, red hoodie and black sneakers.